There’s gold in the ocean! 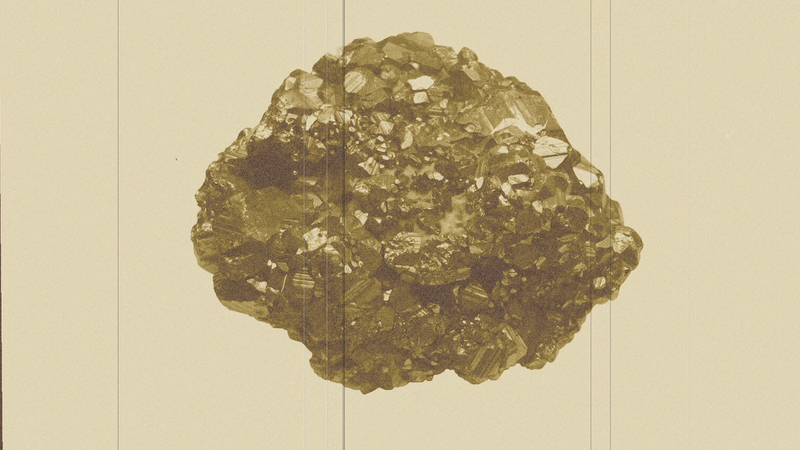 Not so fast fellow prospector … this is actually, fool’s gold, or iron pyrite. And while it can’t line our pockets with wealth, this mineral can help support life in the ocean. Scientists have been studying how bacteria and small plants in the ocean get the iron they need for energy and growth. Apparently, steak dinners are hard to come by. Well, new research points to sources on the seafloor: hydrothermal vents and volcanoes. Scientists already knew the vents’ cloudy plumes spewed iron pyrite particles, but thought they were solids that settled back on the ocean floor. The new findings show vents emitting tons of microscopic pyrite particles that are so small they get dispersed into the ocean instead. These teeny pyrite particles can travel a long distance away from their original source, releasing iron along the way. Thus, this fool’s gold acts as a fertilizer for life in the deep sea – providing a helpful vitamin to bacteria and small plants. And since a healthy ocean and healthy atmosphere depend on the growth of these organisms, one might even say this discovery is worth its weight in gold. And that’s your News of the Day! ¡Hay oro en el océano! No tan rápido querido explorador… es de hecho, oro falso, o pirita de hierro. Y si bien puede llenar nuestros bolsillos con riquezas, éste mineral ayuda a mantener la vida en el océano. Científicos han estudiado cómo las bacterias y pequeñas plantas en el océano obtienen el hierro que necesitan para crecer y tener energía. Al parecer, cenas con carne son difíciles de conseguir. Bueno, nuevas investigaciones apuntan a las fuentes en el fondo marino: las fuentes hidrotermales y volcanes. Los científicos ya sabían que las fumarolas de las fuentes hidrotermales arrojan partículas de pirita de hierro, pero se pensaba que eran sólidos que se alojaban nuevamente en el fondo oceánico. Nuevos hallazgos muestran fumarolas emitiendo toneladas de partículas microscópicas de pirita que son tan pequeñas que se dispersan en el océano. Estas pequeñísimas partículas de pirita pueden viajar grandes distancias fuera de su fuente original, liberando hierro a lo largo de su recorrido. Además, éste oro falso actúa como fertilizante para la vida en el mar profundo, brindando vitaminas necesarias a las bacterias y pequeñas plantas. Y como un océano y un ambiente saludables dependen del crecimiento de estos organismos, se podría decir incluso que este descubrimiento vale su peso en oro. ¡Y ésta es tu noticia del día! In 2007, researchers discovered a massive iron-rich plume of vent-water more than 620 miles (1,000 kilometers ) long in the southern Atlantic ocean basin. The plume was coming from the Mid-Atlantic Ridge, which is where several of Earth's major tectonic plates are slowly spreading apart. This discovery contradicts the belief that slow spreading vents aren't big contributors of iron to the ocean's chemistry.